The average person in the USA will spend five years of their life in their kitchen and bathroom. That is a long time and you need to do everything that you can to make the experience as good as you can. 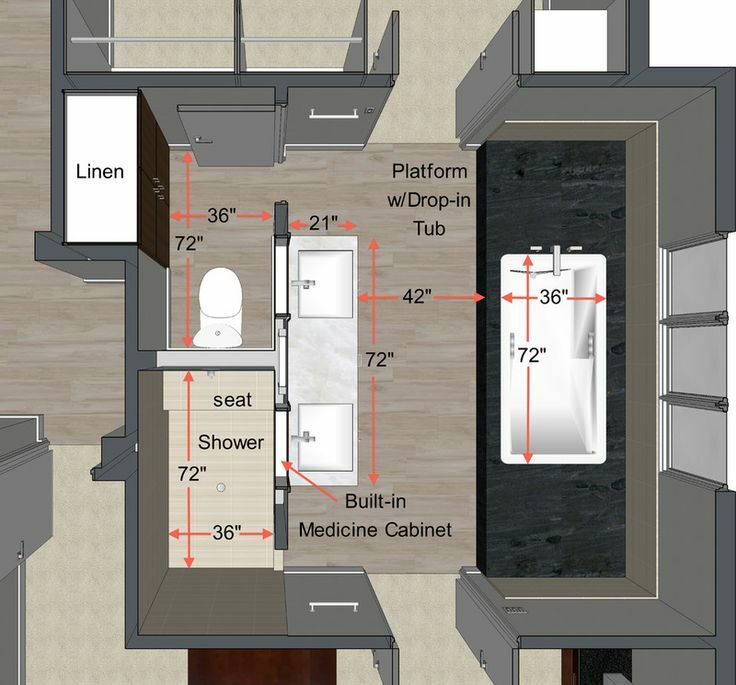 A lot of people are now turning to the professionals for new kitchen and bath layouts. They are looking for new inspiring designs to transform these two very important rooms, and make them more appealing and comfortable to be in. There has been a significant increase in kitchen and bathroom remodeling over recent years. People know that they are the two most important rooms in their home. This is not only for their own pleasure and comfort, but also for the fact that new kitchen and bath layouts add value to their homes. In the past it was very common to see kitchens designed in a rustic style, and the cabinets were always warm colors and the lighting and hardware was wrought iron. The trends have changed now more towards cabinetry that is either white or gray, and there are plain looking counters and an overall minimalist design. Space can often be at a premium in a kitchen, and floating shelves have become very popular. A number of open spaces in the kitchen are sought after these days with the de-clutter of kitchens now a priority. Another trend is the use of an open space concept where kitchens, dining areas and living rooms are all connected. This provides a more seamless look, and is particularly popular with people that enjoying having guests over to their home for entertaining. Some of the best designed kitchens these days feature breakfast bars and kitchen islands that save space. Showers are proving to be a lot more popular these days than bath tubs. Even if the bathroom is large enough for both, it seems that many people like the idea of the extra space in their bathroom by removing the tub. It is not uncommon to find partial walls removed in a bathroom or turning the entire bathroom into a shower. Bathroom art is now in vogue and people want to change out their existing cabinets and fittings to provide a more contemporary look and feel. Turquoise is now a popular color for fittings. The addition of vintage lighting around the bathroom mirror area is also in vogue. Tiling tastes have also changed over the years. Simpler tile designs are proving to be very popular. Vintage tiles are also trending upwards, and many tile manufacturers are creating a large range of vintage tile designs. If your bathroom is large enough then you might want to consider sectioning off your bath and shower and having these in a separate room from the toilet and wash basin. This also has the advantage of preventing queues forming outside the bathroom for toilet use when you are relaxing in the bath. New kitchen and bath layouts can provide you with the opportunity to save money on your energy bills as well as your water consumption. Your kitchen and bathroom use the most water, and create the most moisture, so your new design should incorporate ways of achieving less water consumption. More efficient ventilation systems should also be a factor in kitchen and bath layouts. Moisture can cause havoc in your home, so it is essential that these rooms ventilate properly to lessen the chance of moisture building up and causing damage. It may be tempting for you to try and redesign your kitchen and bathroom yourself, but it is unlikely that you will have the necessary experience to do this correctly. Also the experts are aware of all of the latest innovations when it comes to space saving and energy saving and the reduction of water consumption.